You don't have to agree, but I bet you will have a great slice at Keste. I'm not making any statements that others haven't before me though. Time Out and NY Magazine have both rated Keste as the best pizza in New York. Of course I had to taste it for myself so I made the trek. There are times in my culinary journeys that I encounter an establishment that sets the bar in its genre of food. Keste's atmosphere and service were great, but it was the woodfired oven baked perfection that won me over. They only use top quality ingredients. I'm talking about beautiful prosciutto, mozzarella, and parmigiano. 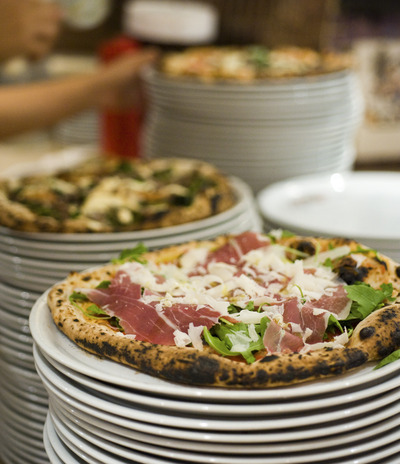 This is real Neapolitan pizza, trust me, I've been to Italy. If you're ever NYC and want a true culinary experience visit Keste. See my gallery of photos from my visit to Keste by clicking here.